Politics is the prisoner of context and timing. 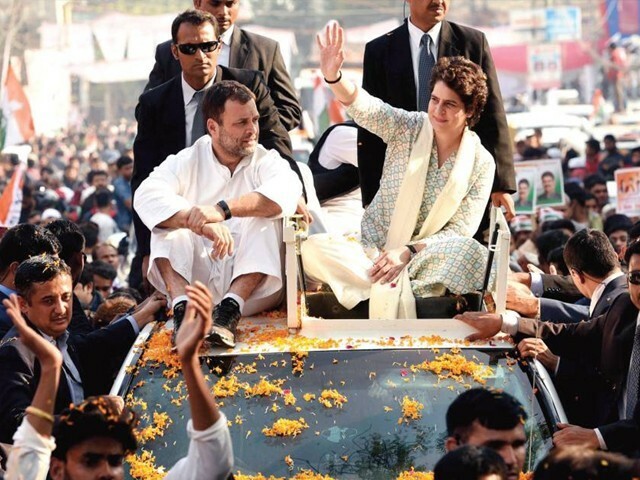 The entry of Priyanka Gandhi Vadra into mainstream politics in India comes at a time when Indian politics senses a new opportunity that is beyond the Indian Prime Minister Narendra Modi. With the main opposition Congress winning three important regional elections recently, the party sees a beginning of a new momentum which has been missing ever since its worst ever performance in the last General Elections in 2014. 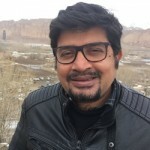 The victory in the regional elections consolidates the positions of the party president, Rahul Gandhi, and also heralds him as a prominent face of the opposition in the country. For long, Rahul has been struggling to make a resounding mark on Indian politics. His consistent attack on Modi and Bharatiya Janata Party (BJP) has galvanised the anti-right wing forces against him. His successful demolition of the three BJP bastions in Madhya Pradesh, Chhattisgarh and Rajasthan has given the 48-year-old a much-needed boost, which was missing so far after he became the party president late last year. Despite losing three states, Modi remains a popular figure and he still retains charisma. The BJP is completely dependent on him to sway the General Elections. But will Priyanka threaten his position? Priyanka has always been an ‘X’ factor in the Congress. Her name has always elicited reactions from people across all political parties. Her past foray into politics has been the campaign in her mother’s constituencies and whenever she has ventured out she has drawn an enthusiastic crowd. Political analysts say that her uncanny resemblance with her grandmother and former prime minister Indira Gandhi and her felicity with words and her style overawes people. Fearing that she might overshadow her elder brother, Congress showed hesitation in launching her on the political platform. However, now that Rahul stands as a strong candidate, his sister’s entry gives a boost to the already established leadership of the party. What is significant is the launch of Priyanka from Uttar Pradesh, a crucial state which sends a whopping 80 seats to the parliament. Right now the BJP has 73 seats under its kitty, one of the main factors that led to the Hindu right-wing party gaining an absolute majority in the last election. This is the state from where PM Modi fights his election. By pitching Priyanka from Uttar Pradesh, Congress is signalling an all-out war against Modi. The Grand Old Party feels that the BJP should be taken head on. The Gandhi daughter commands the same media attention as Modi and she is acerbic in her criticism of the Indian prime minister. Hence, by gaining charge of a crucial state, Congress wants to revive itself there as well as contain BJP’s growth in the state. The media attention that Priyanka has been getting suggests that there is a sudden shift in the narrative of the elections. Moreover, her entry to politics is also an attempt to warn the regional parties which have not been keen on accommodating Congress in their alliance. This new development isn’t confined to this election only. Congress wants to play the long game and wants to rediscover its roots that were lost two decades ago. By playing the Priyanka card, the party now has played its last and hopes to fire up its cadres and reclaim the lost space. It has been a short while since she has started campaigning and the enthusiasm among the party cadres knows no bounds. If the reactions of the BJP leaders from different parts of the country are to be believed, they betray a certain anxiety. Not long ago, the General Elections looked like a one-way affair but now it seems that it’s anyone’s game. Modi can no longer be sure about his return to power; he has never looked as vulnerable as he does now. The growing unity in the opposition camp, combined with the entry of Priyanka has challenged the dominance of the BJP. On the other hand, Congress gets the opprobrium of institutionalising dynasty in politics. With mother Sonia Gandhi, both the siblings now control the fate of the 135-year-old organisation and have taken the responsibility to fight the divisive forces plaguing the country.